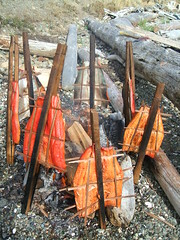 This picture shows what freshly caught sockeye salmon looks like while being smoked on cedar sticks. 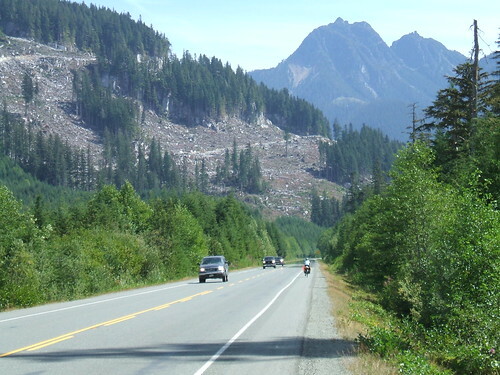 A huge extended First Nations family came from all over Canada to catch the over 450 salmon and then all worked on preparing it for their food supply for the winter. This First Nations man came from Vancouver to Alert bay to do his part in the preparing of the smoking of salmon. 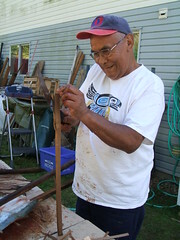 He is cutting up cedar sticks and placing sockeye fillets on the cedar sticks like a weaver. He has been a fisherman and a logger for most of his live but now he build boats in Vancouver but alway returns home to help his family with the yearly catching of the salmon and the canning and smoking of this wonderful wild food. Sockeye salmon is the very best. We found the people wonderfully friendly and helpful. We hope go back some day and spend some time on this incredible island. Thanks everyone at Alert Bay. 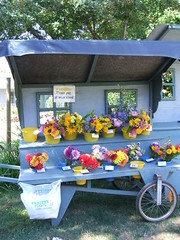 Randy bought Nancy flowers at this wonderful honor system stand along the Lockside bike path on Victoria Island, BC. There are many of these stands along the bike path that request that you just put your money in the box and take what you paid for. This is the view from the ferry as we leave Victoria, BC heading to Port Angeles early Friday night. The harbor activities are everywhere. 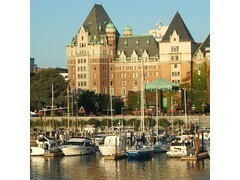 There are bagpipes playing off in the distance, art activites are happening in front of the palace, float planes are landing in the harbor, water taxis are scurrying back and forth to the houseboats, commercial fishing vessals are bringing in the days catch, cruise ships are docked nearby. I pause and breath in the moment as I reflect on this magical city by the sea. Stuart has been riding around the north west part of Canada and around Alaska for the last 3 months. 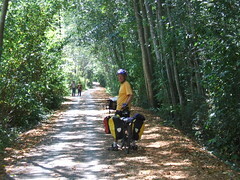 He live is Wellington New Zealand and teaches economics when he is not bike touring. Here is he is stop to enjoy the blackberries along the side of the highway. Life really provides everything we need.